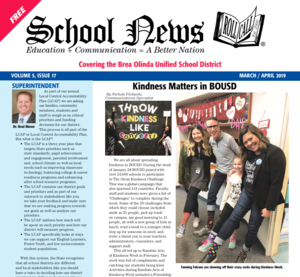 Five 5th grade students at Olinda Elementary School recently put their heads together to come up with a one-of-a-kind invention that could help their friend Justin, a student with disabilities, who is non-verbal. Using the design process, they came up with a problem, performed research, and put forth a solution that they call - the "Vest Buddy." The "Vest Buddy" is wearable augmented alternative communication vest that will allow students (like their friend Justin) who have trouble speaking to be included when playing sports or on the playground. As far as we know, this vest is a first of it's kind. 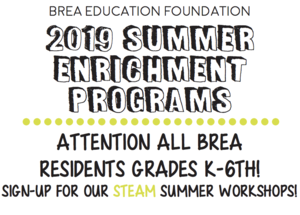 We are thrilled to partner with the Brea Education Foundation this summer to provide students an exciting summer opportunity to create, explore, and learn. The Summer Enrichment Program is an exciting opportunity for students K through 6th grade to take fun and creative exploratory classes during the summer. 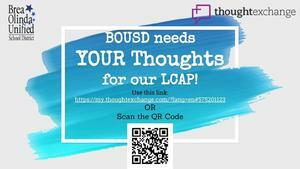 Details on this exciting program can be found below on the flyer by clicking on the headline of this news story.